Brazil’s power to attract international investors has become irresistible. Large-scale economic development, massive infrastructure projects, substantial agribusiness and commodities markets, and newly discovered oil and natural gas resources—combined with improvements in social standards and a consolidation of democratic institutions—have spearheaded the emergence of Brazil as a formidable global economy challenging the developed nations. Taking the point of view of a commercial lawyer required to draft and negotiate agreements governed by Brazilian law, each author contributes particular expertise to this incomparable resource for potential and actual investors in Brazil and their counsel. Thoroughly up-to-date in its exploration and understanding of the legal transformations that are taking place in Brazil, this book will be invaluable to corporate lawyers, investors, academics, and policymakers interested in Brazil’s role in the global economy. Chapter 1 Setting up a Business in Brazil Luiz Fernando Amaral Halembeck. Chapter 2 Joint Ventures, Mergers and Acquisitions Adolpho Julio Camargo de Carvalho, Antônio José Mattos Morello & Natália Parmigiani Merlussi. Chapter 3 Commercial Contracts Neil Montgomery & Evy Cynthia Marques . Chapter 4 Financing and Investment in Infrastructure in Brazil Maurício Teixeira dos Santos. Chapter 5 Taxation Ana Claudia Akie Utumi. Chapter 6 Capital Markets and Securities in Brazil Jean Marcel Arakawa. Chapter 7 Intellectual Property Tatiana Campello & Esther Lins Lima. Chapter 8 Dispute Resolution Gilberto Giusti, Ricardo Dalmaso Marques & Fernanda Marques Dal Mas. Chapter 9 Real Estate Investments Rossana Fernandes Duarte and Bruno Mastriani Simões Tuca. Chapter 10 Environmental Legislation Roberta Danelon Leonhardt. 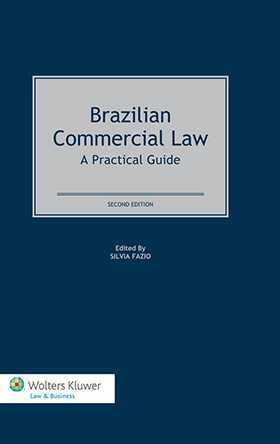 Chapter 11 Labor Law in Brazil Andre Ribeiro & Nelson Mannrich. Chapter 12 Insolvency Eduardo Augusto Mattar, Renata Machado Veloso & Laura Massetto Meyer. Chapter 13 Competition Law in Brazil: An Overview on Merger and Cartel Enforcement Barbara Rosenberg, Luís Bernardo C. Cascão, Camilla Paoletti, Amanda Fabbri Barelli & Daniela Coelho. Chapter 14 Trade Remedies in Brazil Ana T. Caetano, Gustavo Boni dos Santos & Ana Luiza Sanches. Chapter 15 Anticorruption Law Leonardo Ruiz Machado. Chapter 16 Private Equity, Venture Capital and Investment Funds in Brazil Alexei Bonamin, João Busin & Silvia Fazio. Chapter 17 Insurance and Reinsurance Marcelo Mansur Haddad, Gustavo Armando Leon & Paulo Grassia.